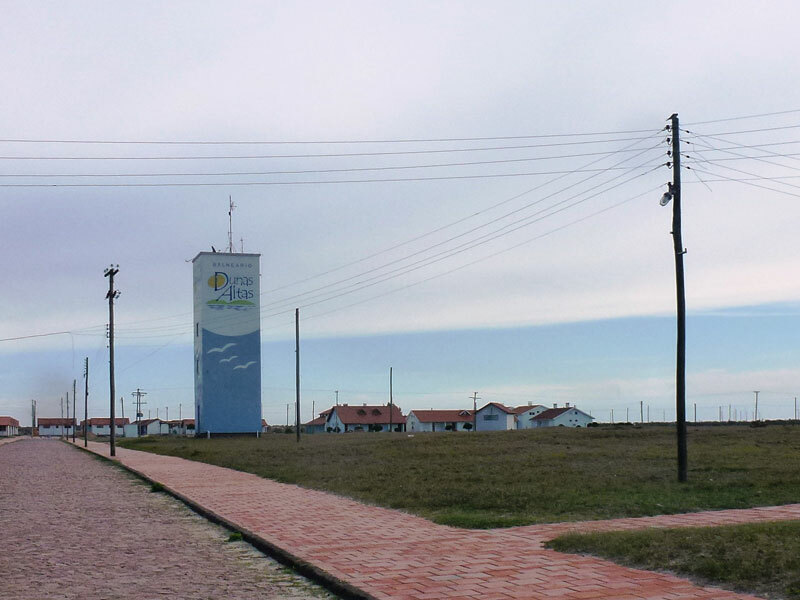 A small beach community on the coast of Rio Grande do Sul province in Brazil, Dunas Altas comprises a set of holiday homes, occupied only in the summer. Nestled among the dunes, the remote town is deserted in the bleak and cold winter months, but in summer it is bustling with visitors. The South Atlantic waters are brown here as a result of sediment discharge from the Rio de la Plata and the Lagoa dos Patos. 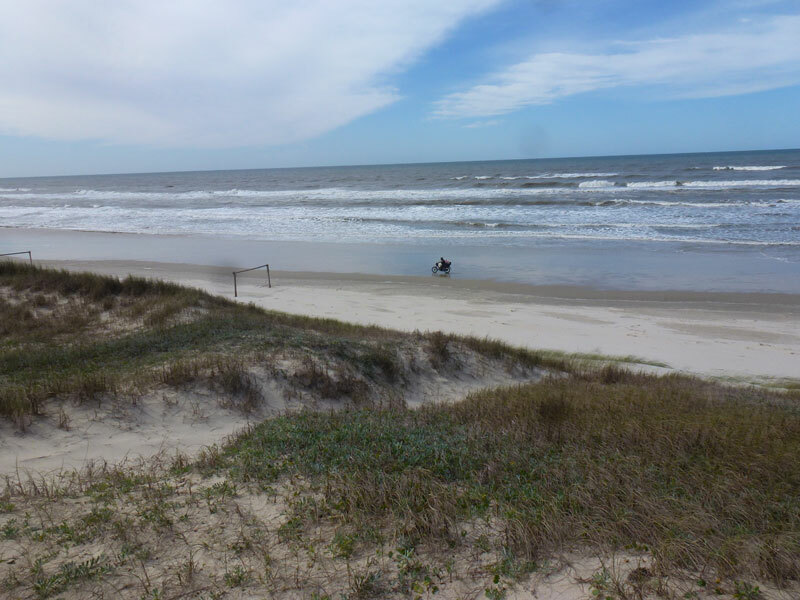 Dunas Altas is near the northern end of a beach that runs unbroken for 300 km from Rio Grande to Tramandai. 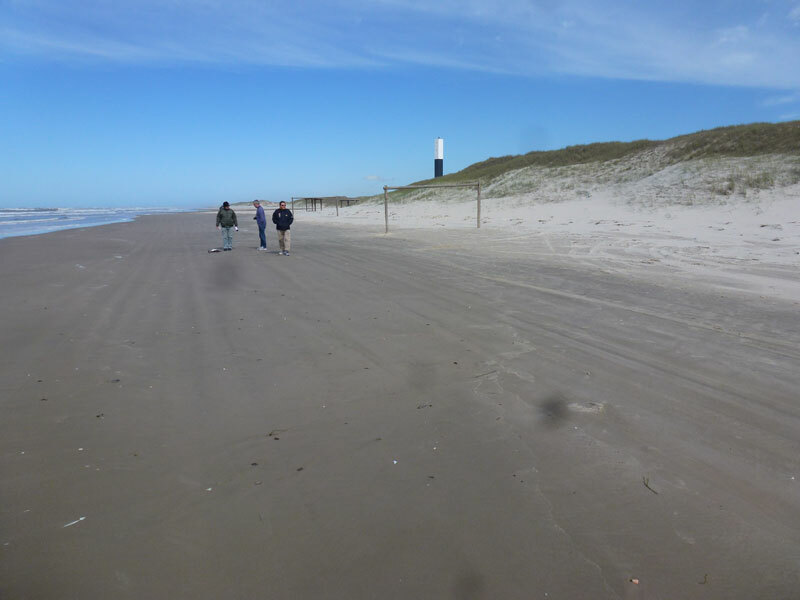 The wide sandy beach is compact and hard – the strong winds blow any dry sand into the dunes – and consequently it is often used as a road by normal cars and motorcycles. 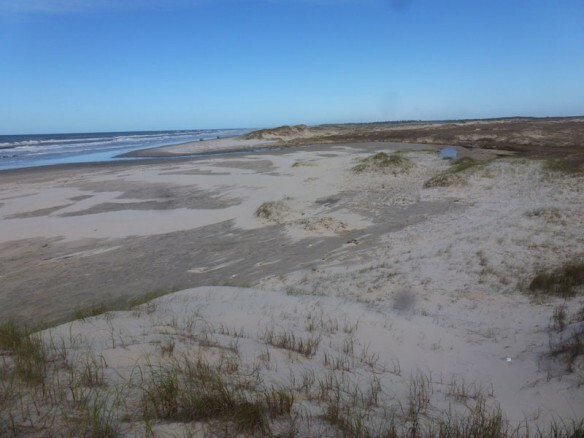 A hazard to traffic, however, is posed by the numerous small channels that discharge across the beach. These are known locally as ‘sangradouros’ or washouts. They occur when rainfall elevates the water table and the excess water flows seawards across the beach in shallow channels. The margins of the channels are often zones of quicksand where even a footstep causes the sand to liquefy. 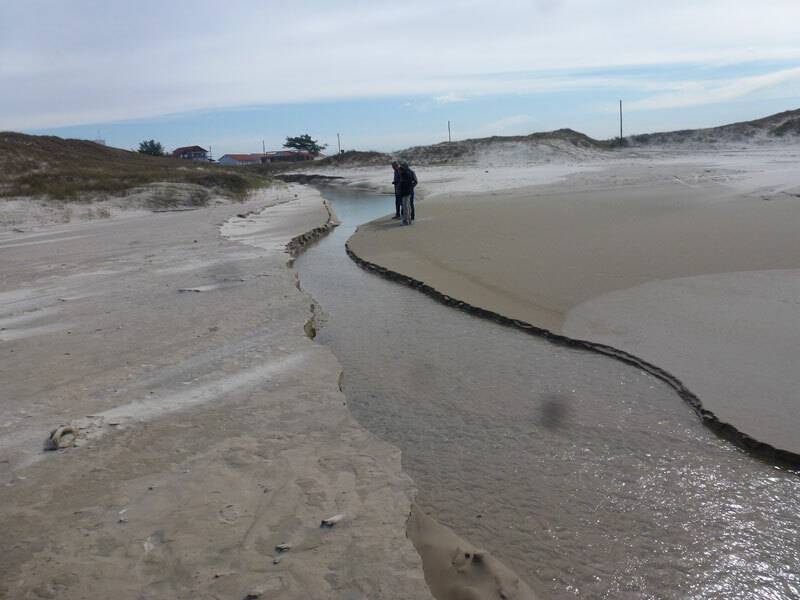 These ephemeral channels, however, play an important ecological role for juvenile fish and organisms that live in the beach. The waves on this part of the South Atlantic coast are large and energetic. A series of nearshore bars breaks their energy and creates an impressive wide surf zone. 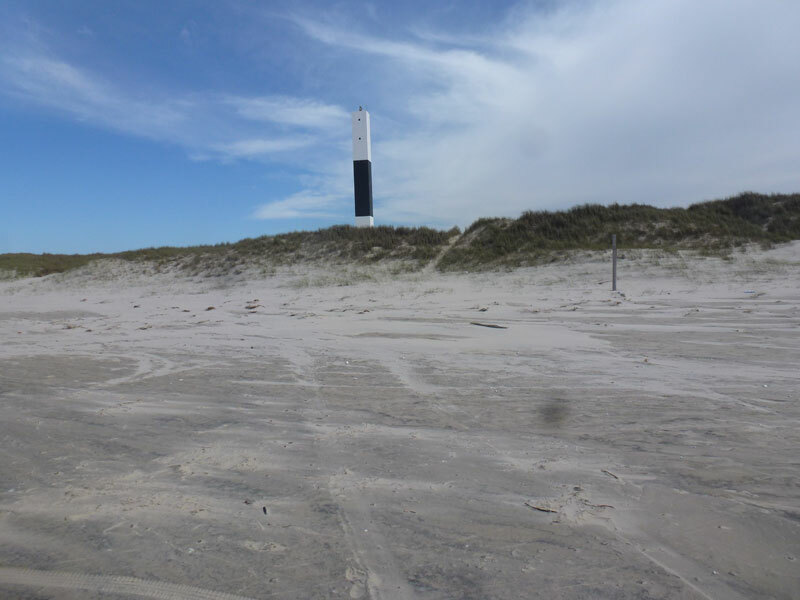 Dunas Altas takes its name from the dunes that are present all along the beach. Contrary to their name, they are not particularly high (most are less than 10 m high). 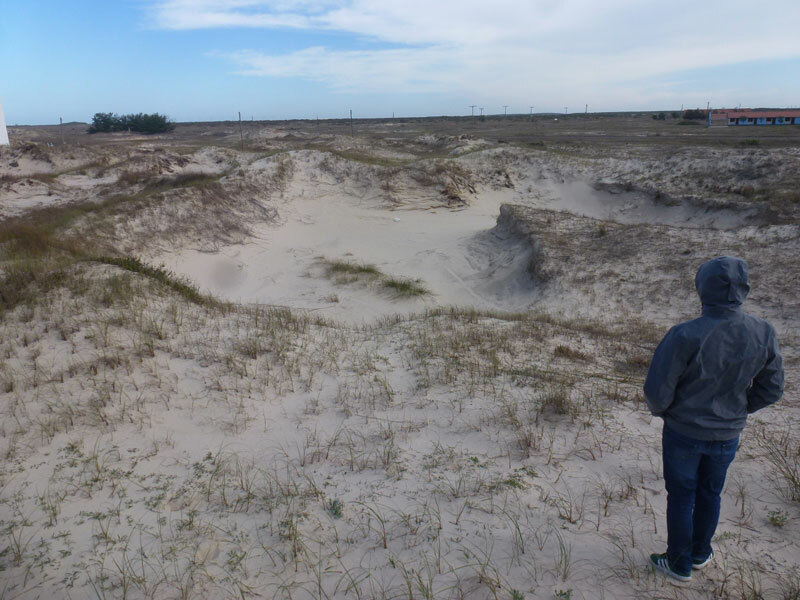 The dunes are migrating inland over the wet coastal plain and they are fed by sand blowing inland from the beach. An unexpected sight here on the south Brazilian coast is to see penguins swimming in the surf. 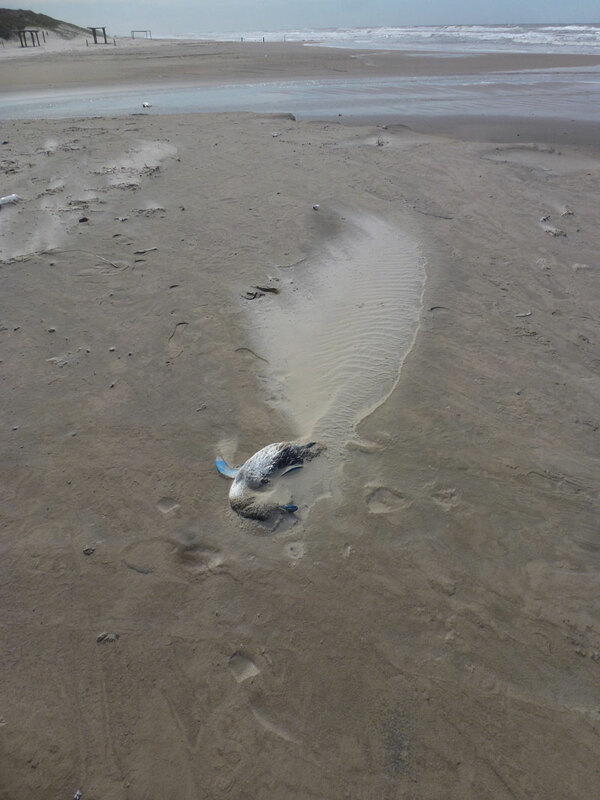 Carried on the north-flowing Falklands current they often find themselves out of their normal comfort zone and it is common to find a few dead penguins washed up on the beach. Their corpses act like any other detritus on the beach and they can form the nucleus of new dunes.